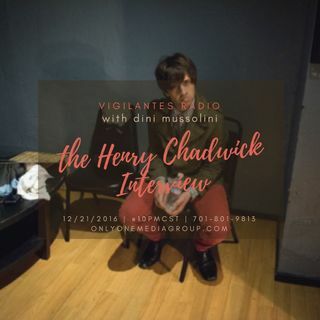 Henry Chadwick, a native of Santa Cruz, California, stops by to chat with Dini Mussolini about his EP, titled, "Guest At Home", philosophy on instrumental music & doing all the creative work involved on the records. Set your reminder, it's happening! 12/21/2016 | 10PMCST | 701-801-9813 or via the browser by going to onlyonemediagroup.com/vigilantesradio and slapping that "Go LIVE!" button.